水池/营区 Pool/Campsite Dipping pool, campsite is available a few distance away. 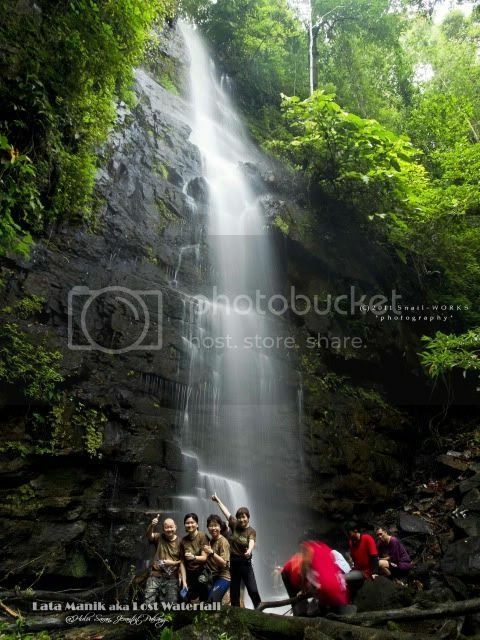 The mystery Lata Manik Waterfall is the main attraction of Hulu Saran trip. 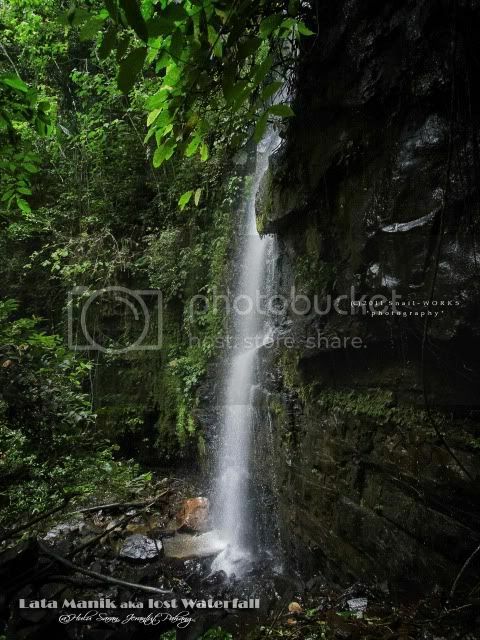 Same as Lata Lebah Waterfall, we have to trek about 3 hours to the Zon Lubuk Tengas. 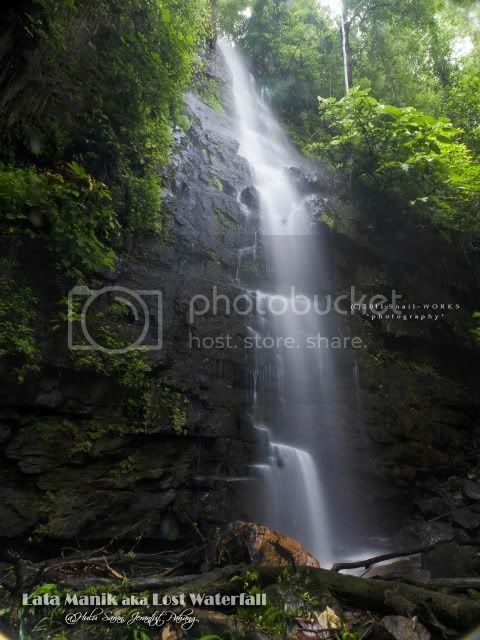 The location of the fall is less than 300m from Lata Lebah Waterfall. From Zon Lubuk Tengas, we followed a trail lead into the jungle instead of turning right to upper Saran River. End of the trail is the destination. 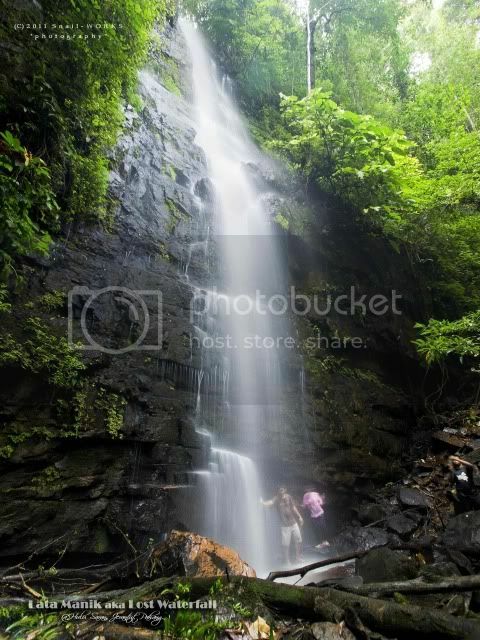 Lata Manik also name as Lost Waterfall. 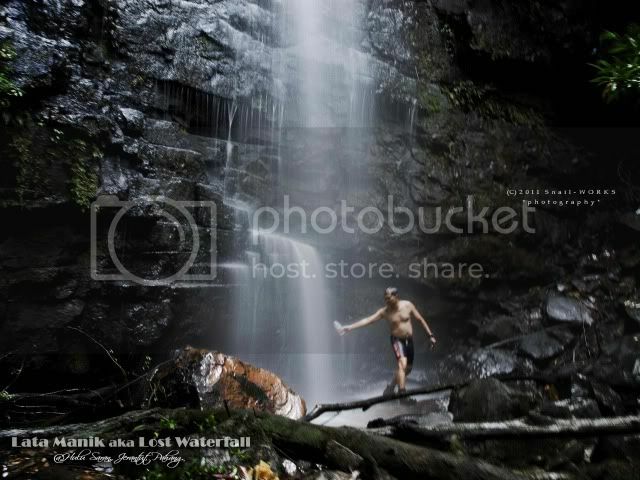 The waterfall don't have pool like other waterfall did. The most unique part is no stream found after the waterfall, you can't see where are the water flowing to. Actually the secret is the water had sipped into the ground and flow through the underground river. Taste of the water is a bit sweet. Have you been to the mystery Manik Fall?